Download full-size JPEG (641K) or GIF (169K) image. 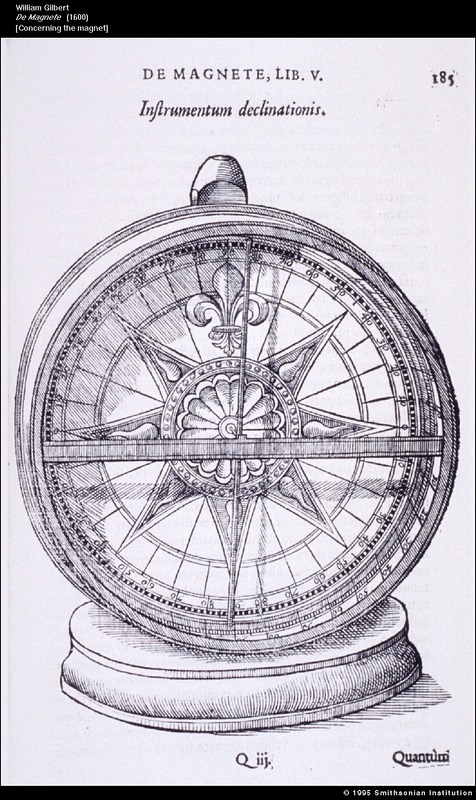 William Gilbert, physician to Queen Elizabeth I, wrote Concerning the Magnet to examine the legends and scientific facts associated with magnets, lodestones, amber, and other materials that possess natural powers to attract or repel. He described the Earth itself as a giant lodestone possessing magnetic properties. Gilbert's book also provides the first published description of electricity, which Gilbert believed to be a type of magnetic response. Download full-size JPEG (254K) or GIF (143K) image. We now understand that magnetism and electricity are physical rather than magical forces. For Philip Zimmermann, this knowledge merely adds to the poetic analogy between these natural phenomena and human behavior. 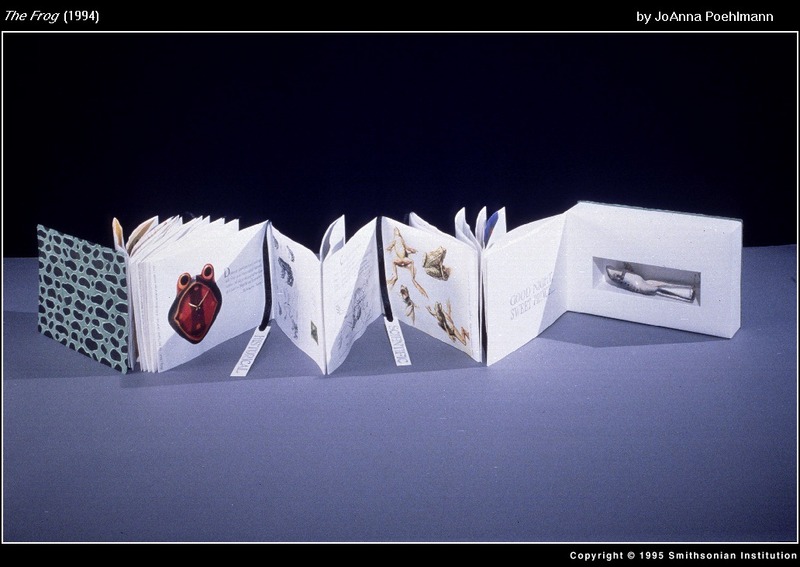 He uses Gilbert's findings as a metaphor for relationships between men and women. Download full-size JPEG (310K) or GIF (67K) image. A lawyer, musician, and amateur scientist, Ernst Chladni of Leipzig, Germany, found a way to make visible the vibrations caused by sound waves. He covered glass, metal, and wooden plates with sand and ran a violin bow against them. The vibrations moved the sand into patterns that are known today as "Chladni's figures." 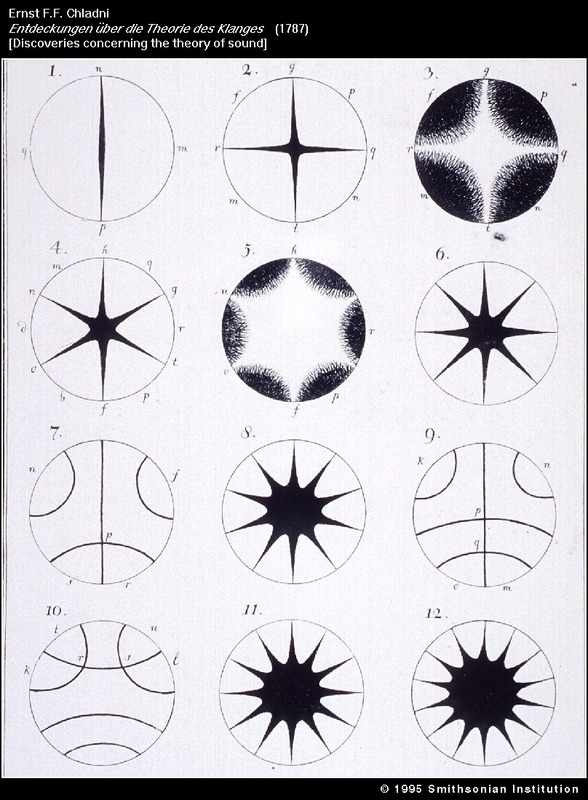 Shown here are 12 engravings of these acoustically produced patterns. Download full-size JPEG (210K) or GIF (101K) image. 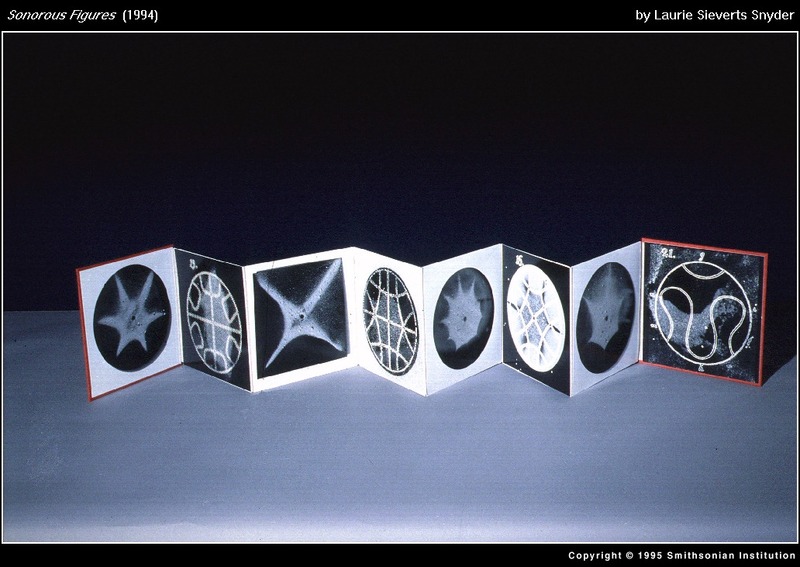 Trained as a musician and artist--and the great-granddaughter of a musician-scientist from Leipzig--Laurie Sieverts Snyder was intrigued by the idea of sound creating images. Following Chladni's technique, she produced sound-wave patterns using sand, a violin bow, and metal plates. 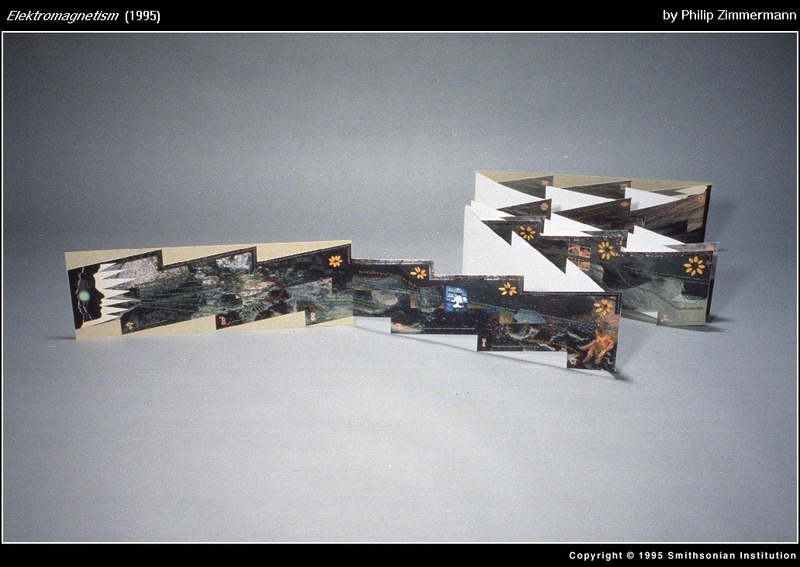 She photographed the resulting patterns, in some cases superimposing Chladni's original diagrams over her own images. Download full-size JPEG (406K) or GIF (102K) image. In the 1790s, Alessandro Volta sought to generate a constant electric current by experimenting with stacks of silver and zinc disks separated by bits of dampened cardboard. The result was the invention of the electric pile battery, which Volta first described in the Philosophical Transactions, the leading scientific periodical of its time. Download full-size JPEG (213K) or GIF (204K) image. Using words such as "given" and "gained," "set" and "sought" which could describe both molecular and human exchanges, M.J. Connors creates a model for social interactions analogous to the exchange of electrons that occurs within a pile battery. Download full-size JPEG (375K) or GIF (127K) image. Noting that dissected frogs' legs twitched when touched by his scalpel, Luigi Galvani theorized that electrical impulses originated within the frog's body. 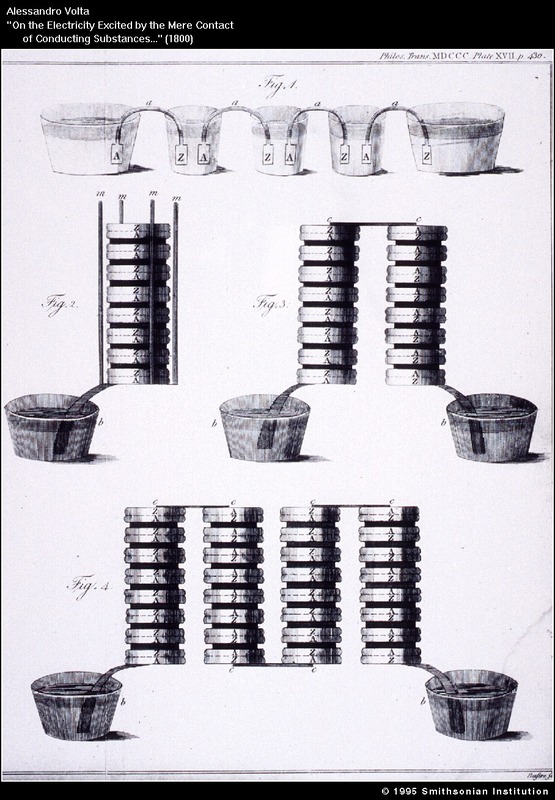 Alessandro Volta recreated Galvani's experiments and drew a more accurate conclusion: the electricity was generated by the contact of dissimilar metals in a moist environment. 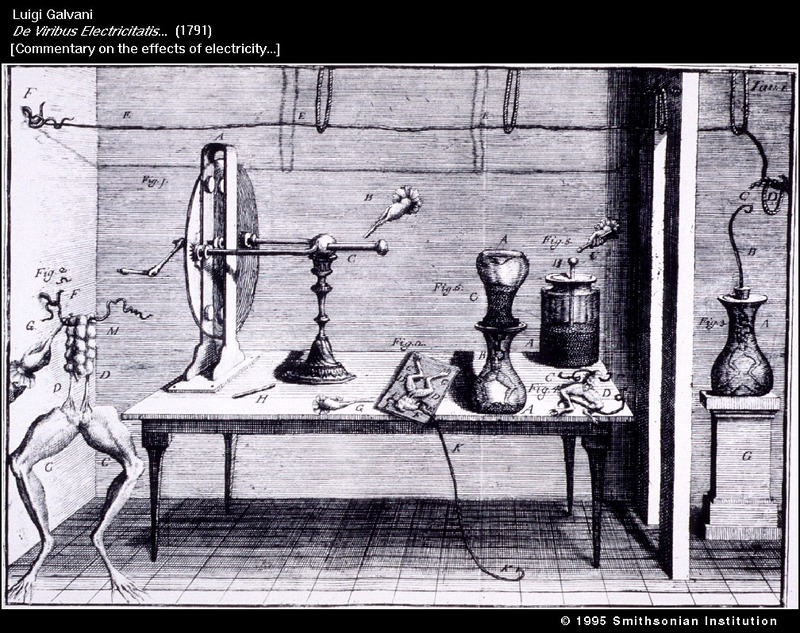 Nevertheless, Galvani's theory of "animal electricity" captured the public imagination and continued to be defended until late into the 19th century. Download full-size JPEG (186K) or GIF (109K) image. 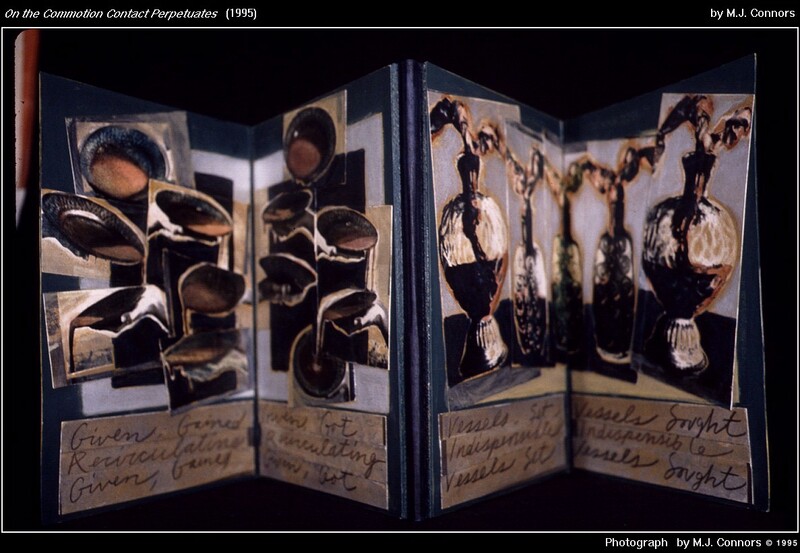 Galvani's frog experiments evoke memories of high-school biology class for JoAnna Poehlmann. She combines this memory with countless other allusions to the frog in literature, mythology, and popular culture. Poehlmann bemoans the fate of her amphibious "friend," a taxidermic frog found in an antique shop and now preserved in the last page of her book.